Welcome to the Bright Star Blog! We plan to use this blog to share with you updates and stories about the great things that are going on at Bright Star Schools. Bright Star has been serving students in Mid-City and the central San Fernando Valley for twelve years, and this year we have nearly 2,200 students enrolled in our five schools! Every day in our schools, students and teachers are doing remarkable things. 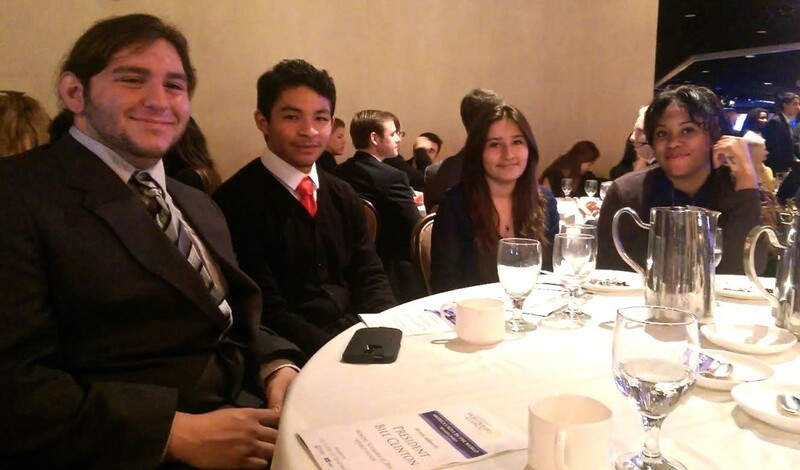 For example, in November, several of our students at Bright Star Secondary Charter Academy were invited to a reception and dinner with President Bill Clinton. Thanks to the Los Angeles World Affairs Council for its generous partnership with our schools and for creating that special opportunity for our students. Here’s another one – did you know that in December Bright Star broke ground on a new home for Valor Academy Middle School? Click here to see a couple of pictures of what the campus will look like by August, when it will be ready for move-in. Make sure you subscribe to stay tuned for more updates about the great things happening at Bright Star Schools! Great idea! Would be great to have it in Spanish too!